Howard and Lavar Music Co.
Music influenced public knowledge of, and reaction to, children's horrific experiences during the Great War of 1914-1918. Claude Debussy is a notable figure in this discussion for his involvement in fundraising events to benefit orphans of war, and for composing “Noel des enfants qui n’ont plus de maisons” in order to capture public attention and sympathy. Similarly, the American Red Cross endorsed concerts of classical and popular music to benefit the survival of children in France. Children were frequently portrayed in music and posters as unwitting victims, as angelic figures, and symbols of nations in desperate need of defense. 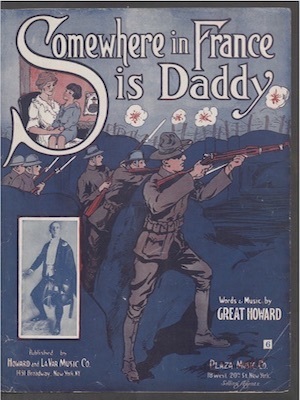 One piece of sheet music from this era that captures the stress of this war on children is “Somewhere in France is Daddy” by Joseph “Great” Howard. This sheet music evidences how popular song mobilized audiences to attend to the needs of children during World War I. Children experienced the war through destruction of their home life, absence of parents, and in the death of family and community members which led many of them to orphanages. Children were affected by the First World War in ways previously unexperienced. For the first time, war impacted whole populations, as the requirements of mechanized warfare meant that entire economies had to change to support munitions production as well as feeding and supplying huge armies. Technological innovations brought the threat of bombing from the air to cities far outside the zones of conflict, while naval blockades of shipping meant that millions across Europe experienced starvation and other extreme shortages. Similarly, children's experience of the war reflected these radical changes. Children were vulnerable to the effects of shortages caused by blockades and the need to redirect resources to the war effort. They experienced the loss of parents and other adults in their families as fathers and uncles joined the armed forces and mothers and aunts started working in factories. At the same time, the experiences of children across Europe generally had been changing rapidly from the mid-19th century, as a result of reforms in education and progress in maternal and infant care. By the early years of the 20th century, more children received some form of school provision up to their early teens than ever before. Furthermore, Children were frequently portrayed in music, books and posters as symbols of desperate need of defense in the form of propaganda. Cruelty towards the enemy was encouraged by propaganda directed at children. Agnew, Kate, and Geoff Fox. Children at War: From the First World War to the Gulf. New York: Bloomsbury Publishing, 2001. Breggin, Peter Roger, and Ginger Ross Breggin. The War Against Children. New York: St. Martin's Press, 1994. Druesedow, John. “Popular Songs of the Great War: Background and Audio Resources.” Notes 65, no. 2 (December 2008): 364-378. Project MUSE. 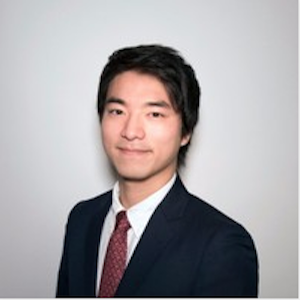 https://muse.jhu.edu/article/253131/pdf. Fast, Vera K. Children's Exodus: A History of the Kindertransport. Charlotte: I.B. Tauris, 2011. Fenton, James. The Memory of War: And, Children In Exile: Poems 1968-1983. London: Penguin Books, 1983. Howard, Great. Somewhere in France is Daddy. New York: Howard & Lavar Music Co., 1917. https://www.loc.gov/item/ihas.100006493/. Jensen, Eric Frederick. "Debussy." Oxford: Oxford University Press, 2014. O'Connell, John Morgan, and Salwa El-Shawan Castelo-Branco. 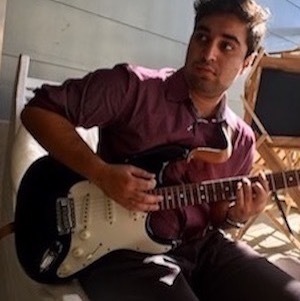 Music and Conflict. Champaign: University of Illinois Press, 2010. Ressler, Everett M, et al. Children In War: A Guide to the Provision of Services. UNICEF, 1993. Ryan, Christine. The Children of War: Child Soldiers As Victims and Participants In the Sudan Civil War. Charlotte: I.B. Tauris, 2012. Van Vechten, Carl. Music After the Great War: And Other Studies. Charleston: Nabu Press, 2010. Haiylu Kibret is a third-year student at the University of Virginia where he is majoring in Computer Science. 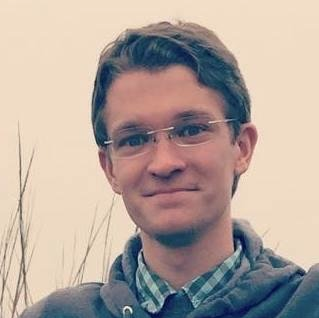 His interest in musicological research began during the spring of 2018, and this is something he hopes to continue in the future. When he is not busy programming and working on personal projects, he enjoys working out and playing soccer. 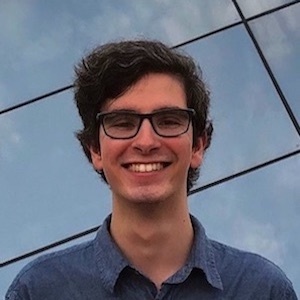 Publisher: Howard and Lavar Music Co.
James Stevens is a second-year graduate student pursuing a degree in Vocal Performance in the studio of Professor John Aler at George Mason University. 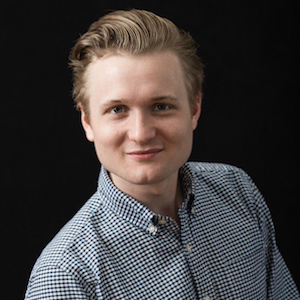 His recent Mason Opera appearances include Albert Herring in Benjamin Britten's Albert Herring, Lord Tolloler in Gilbert and Sullivan's Iolanthe, and King Kaspar in Menotti's Amahl and the Night Visitors. His recent concert appearances include singing with the Central Maryland Chorale and the Symphonette at Landon. 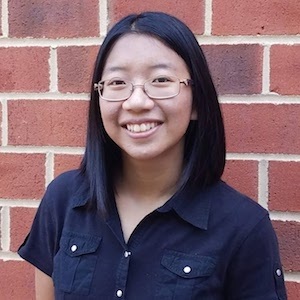 Faith Ellen Lam is a sophomore Honors College student at George Mason University where she is a dual major in Music Performance and English. She is in the piano studio of Dr. Linda Monson. She has performed in such prestigious halls as Weill Recital Hall in Carnegie Hall, New York, and the Millennium Stage at the Kennedy Center, and has been invited to play in numerous masterclasses with artists such as Stanislav Khristenko, Jeffrey Siegel, and the Ensemble da Camera of Washington. Fighting, my lad, for liberty. And ask God to help them win. On Kaiser William’s flag staff in Berlin.